Comments: Evergreen broadleaf native to Australia. 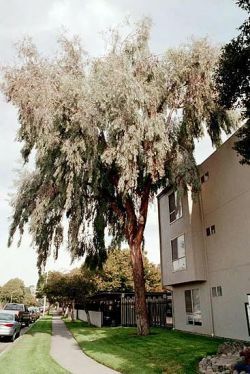 Sickle shaped gray green leaves, creamy white flowers in Fall and rough bark on trunk similar to E. sideroxylon but not black. Leaves have a peppery odor when crushed.